This one-year physics course is an ideal curriculum to increase student performance through contextual learning. Energy Concepts and CORD developed Physics In Context to meet your educational needs by incorporating our experience with classroom-proven techniques, recommendations from educators, and the increased math and science requirements of many states. Students explore how physics applies to real-life situations while developing the problem-solving skills that are necessary in the technical workforce. 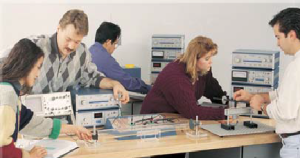 Concepts are presented within the context of four energy systems: mechanical, fluid, electrical, and thermal, and reinforced through hands-on lab experiments. 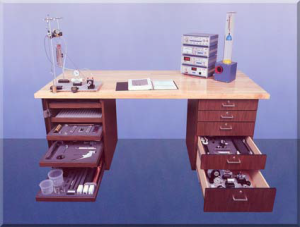 The turnkey laboratory system allows the instructor to effectively implement the Physics In Context course. The curriculum and equipment have been thoughtfully designed and packaged to make it practical and reliable for use in the classroom. Each lab experiment is tested for accuracy, repeatability, and efficiency. This quality system provides clear benefits with our comprehensive manuals, reliable equipment, and time-saving equipment management system. Physics in Context: An Integrated Approach is designed to reach the majority of students. By presenting physics concepts with algebra based content, it meets the math and science standards required by many states. This ten chapter course uses a contextual approach to explore mechanical, fluid, thermal and electrical energy systems. 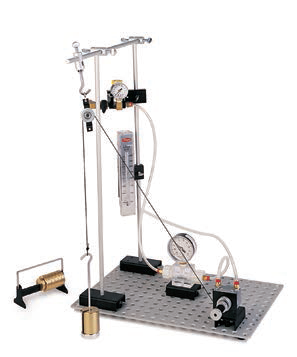 ECI’s Laboratory Manual provides hands on laboratory experiments to reinforce CORD’s student text. Designed to help the student develop a thorough understanding of the subject matter, the lab manual is clearly written and professionaly illustrated. With its loose leaf design, the manual always stays open to the selected page. The two color printing is utilized to highlight and enhance the easy to follow lab setup procedures. 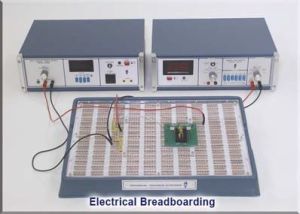 ECI-engineered breadboarding allows experiments to be safely done on a benchtop using methods and devices that allow each experiment to be accomplished with accuracy, repeatability, and speed. 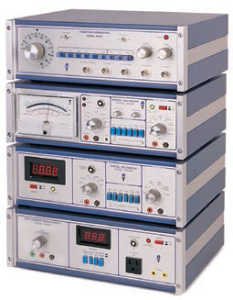 ECI offers a full complement of professional, full size, benchtop instruments. These fully protected instruments have been specifically designed to provide long life use under classroom conditions. Built with rugged 20-gauge steel, they are made in the U.S.A. and backed by a 3-year warranty. Electrical breadboarding is accomplished using Energy Concept’s patented circuit panel. Major electrical components are mounted on rugged commercial grade PC boards that plug directly into the circuit panel.